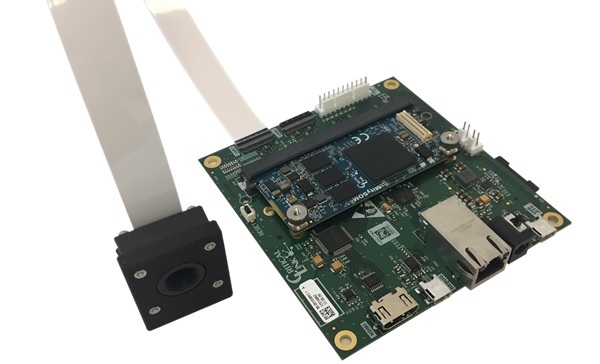 The MitySOM-5CSX Embedded Vision Development Kit (VDK) is a complete hardware and software framework designed to accelerate the development of vision applications. The kit offers an Intel/Altera Cyclone V SoC processor with integrated dual core ARMs and FPGA fabric, and is based on Critical Link’s production-ready MitySOM-5CSx System on Module. Contact us via info@criticallink.com for pricing and availability.